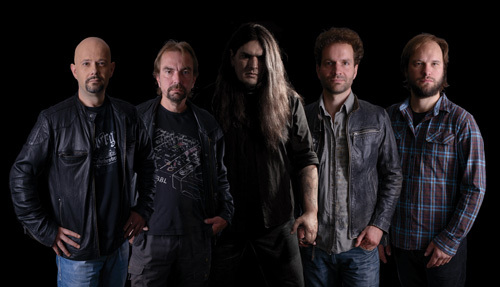 What hasn't changed for Assignment is their exploration of melodic and progressive power metal. Yet this is not overly complex stuff. The usual suspects occur with tempo and time signature changes, and particular instruments offering representative solo parts. The band's goal is not to confuse you or leave you perplexed, but to demonstrate some creativity and entertain. The glue that holds everything together is Assignment's inherent commitment to melody and groove which allows the arrangements to be both intriguing and accessible. Good examples are found within Chemical Healing, notably the shift at the midpoint with the guitar solo; Variaxis, a vocal duet that turns on the vocals, but shifts between heaviness and lightness from piano and acoutstic guitar; or Genetic Slavery which seems to move along three parts, the vocal, guitar, and drum lines, the latter two propeling the melody and groove. Something more ambitious comes with the closing two tracks, Entering The Universe and Between Parallel Worlds. Both are notable for their symphonic starts, which makes you wonder if the songs are partners. The former song is heavier with great speed and includes some death vocals cast against some female vocals. But at the start of latter song, Between Parallel Worlds, the orchestration led by some bright piano sound nearly cinematic, before it leans into traditional melodic power metal, less on the prog side. Overall, I liked the album. 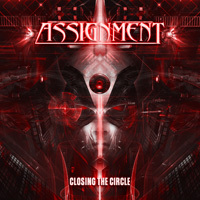 Closing The Circle finds Assignment in fine form, essentially in stride, and continuing to create intriguing and entertaining melodic progressive power metal. Recommended. Closing The Circle finds Assignment in fine form, essentially in stride, and continuing to create intriguing and entertaining melodic progressive power metal. Recommended.